I’m interested to know more about erythritol – had a look at wikipedia, so I know what it is now! Has it been used for long? I did try xylitol for a while – until I found I had leaky gut and honey was the only sugar that I could digest – and only in tiny quantities. I’m interested in studying these sugar substitutes because I’m concerned that they trick the body and wonder if that is healthy? I am naturally skeptical about anything highly processed and have also read that the body perceives anything sweet – even if it has no calories – and still releases insulin to counteract it. I wondered if you had done any research on erythritol that could enlighten me? I hope to find that it really is the answer to all out sugar problems – but I’m doubtful. I think erythritol is safe as I believe it is derived from stevia, but you should check with your doctor to be sure and do your own research. Agave is a great low glycemic alternative, though it will up the carbs. Hi Naomi! You might wish to check this product out, I found it in my extensive research for a healthy low-carb sweetener! I haven’t tried it yet, but it gets rave reviews, so I’m excited to try it! Erythritol is a sugar alcohol. It does not Spike the blood sugar however. When mixed with stevia, it tastes really nice. Truvia is a mixture of stevia and erythritol, however, off brands of stevia are usually mixed with dextrose or Mallitol and do cause a blood sugar Spike. I don’t care for erythritol by itself, as it gives too much of a cooling effect for me, but truvia / erythritol-Stevia mix is great. I’ll even put it straight on berries and it tastes wonderful. Just half whatever amount of sugar is being called for. So for example, if a recipe calls for 1 cup of sugar, you would use one half of a cup of Truvia. Hope this helps! Mike – Real sugar or no, this dessert will satisfy the most discerning of chocolate lovers. Hope you like it! Off to try to make biscuit recipe. I need something low carb to make PBJ’s with for my son’s sack lunches! P.S. Added you to my links section on my blog. Oh my gosh! How good does that look? I have just got to try this! Thanks for sharing your genius. Vikki – Thank you! Give these a shot. Jennifer – So glad you and your son like the Pay Day bars! Thank you for the feedback. I will check out that gf bake mix. Thank you so much for ALL of your recipes. I found this site completely by accident and it has been a God send. I fell off the low carb wagon because I do enjoy my sweet stuff, but can’t stand the bitter taste of soy in other LC “sweet” recipes. Enter your site. I made the blueberry muffin recipe and even my non LCing husband can’t keep his hands off them. No more soy and no more Splenda – WAHOO! 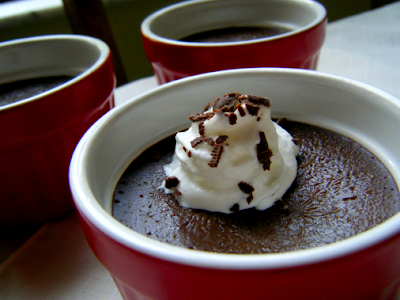 These chocolate creme de pots are next on my list. Thank you again!! Would you believe I waited until November to make this? Actually, I made one quarter of the recipe and nuked it in the microwave for 2 minutes on 50% Not sure if it gets a similar result to baking in a water bath (probably not), but it was so delicious, just the same! Wow, I LOVE your blog! I just found it and am so happy to find someone else to eats like I do! I am so excited to try all of your recipes! Just one question: When you say 85% chocolate- do you mean a chocolate that is unsweetened? Or do you use one that has sugar, even though it’s a tiny bit? Looks like you do, and I just want to make sure because of the carb content. I am so excited to learn about erythritol too!! Thanks! Mee-Lise – Good to know that you can microwave these! Thanks for sharing the results of your experiment. Rachel – Thank you for stopping by! I do use Lindt 85%, sometimes Green and Black’s 85%–just any chocolate with a couple carbs worth of real sugar to offset the bitterness that extra dark chocolate can have. Erythritol is so good with chocolate and well worth the expense/effort to find it! Thanks Lauren! I made them, and.. I was a little worried they weren’t sweet enough – I tasted them before baking – but they turned out PERFECTLY. Delicious!! I used 75% cocoa Lindt chocolate bars (all I could find)- really really really good. All my friends (who are actually high-carb vegetarians) LOVED it! YAY! thanks so much!!! To make the whipped cream with coconut milk…do you just whip it up good? Love everything you do!! Thanks!!! THIS is outstanding! I made it with Lint 90% chocolate and the same amount of erythritol and stevia, and used vanilla, not coffee. I also put it into tiny espresso cups, and it made 5 servings(less carbs!). (it took a little less time to bake, maybe 25 minutes?) Anyway, it's great to savor with tiny espresso spoons and it absolutely tastes like the pots de cremes from Balthazar, a fave NYC restaurant. I am just starting to use stevia I have he kind in packets can you tell me how many packets i might use? Oh God this recipe looks awesome, specially 'cause chocolate is my weakness. My boyfriend says that eat chocolate is like visit Viagra Online every day. I am happy i found this blog. I started the jorge cruise diet or a way of living and was looking for stuff that i could eat, when i came across this blog and mmm all this food i can't wait to try it all. Thank you God for the Healthy Indulgences amen. Lauren, seriously. Where have you been this last year? I have been trying to eat low-carb while still avoiding artificial sweeteners and, boy, is it tough. I am pretty good in the kitchen when it comes to savory recipes, but baking takes more experimenting when you are using alternative ingredients and I just haven't had the time. I made these last night and everyone in the house loved them (even my anti-xylitol roommate). Thanks for all of your hard work! Thanks a bunch for posting this delicious recipe, I love chocolate and this is one of the most delicious things I ever tried. Can you please post a link to the type of erythirol you use for this? Also if I use 4 oz canning jars instead of ramikins is it still 3 servings? I'm not Lauren, but I always make mine in the mason jars and no, it's 3 servings in the 1/2-pint/8-oz jars. It's 5 or 6 servings (depending how full you make them) in the little 4-oz mason jars. HTH! Do you have a good source for the Erythritol? Thanks for any help. Looks so delicious but can you tell me why you would need both Erythritol and Stevia? Cathie, stevia alone cannot sweeten chocolate sufficiently. You need a sugar alcohol like erythritol to boost the sweetness and make the dessert taste like it was made with real sugar. You can read more about stevia and erythritol in the FAQ section. Hope that helps! Hi, I really love your recipes! and I hope in the future that you will have a low carb chocolate or blueberry turnover recipe and a low carb cream cheese & raspberry (blueberry or apple ) strudel recipes. 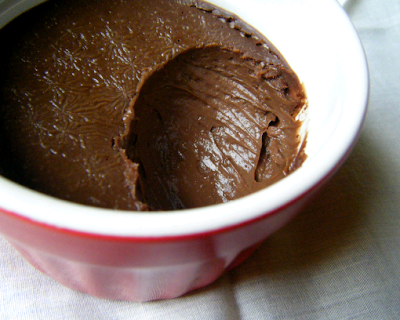 So I make a lot of chocolate mousse as a fat bomb to keep up with my keto, and I am starting to brach out into “ketoified” foods. This has led to some really killer keto “bread” which uses 6 egg whites. Since 6 yolks are leftover I went on a mission last night to find a use for them. This was PERFECT! I did make a couple of changes such as halving the Erythritol, removing the stevia altogether and using unsweetened Baker’s chocolate instead of the the super dark chocolate. I wasn’t sure how this would come out, but with 6 egg yolks to get through I figured, what could it hurt. This is the best thing I have ever eaten… So good! 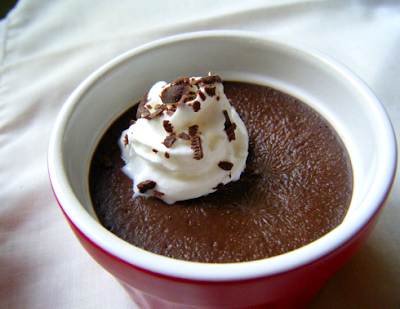 I am trying to do low-carb, no dairy – and this is the perfect indulgence! Have been enjoying in the evening with a handful of fresh raspberries! So glad you’ve enjoyed the dessert, Katie! Thank you, when you write “At least three responses were possible to a learned Buddhist monk and scholar in that moment:” everyday I can see I have these choices and can now use them. Mas claro… agua,esto impresionante el giroy la “disposiciÃ³n tubular” es una entradasolicitada o programada previamentepara el libre, autorizado y programado desplazamientodel objeto dentro del Sol?? ?Cada vez se pone mÃ¡s interesante, lo Ãºnico que deja duda es:Son confiables los datos siendo estos proporcionados por “ellos”? September 15, 2012I actually like the original cover of MSTSave better than the cropped one… The dress is really pretty, and so is the cover model, and its kinda a shame that they weren’t included in the final one. Honestly, my friend called it “Armpit cover” because it kinda zooms in on the model’s pits. But it still is really pretty inspite of that- but it can’t hold a candle to the cover of the final book!